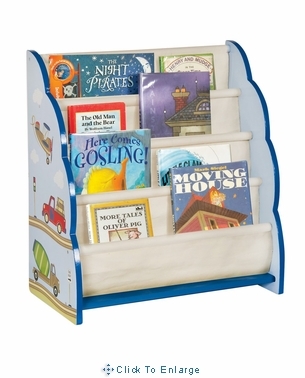 Transportation Themed Moving All Around Kids Book Display Features hand-painted scenes on both sides. 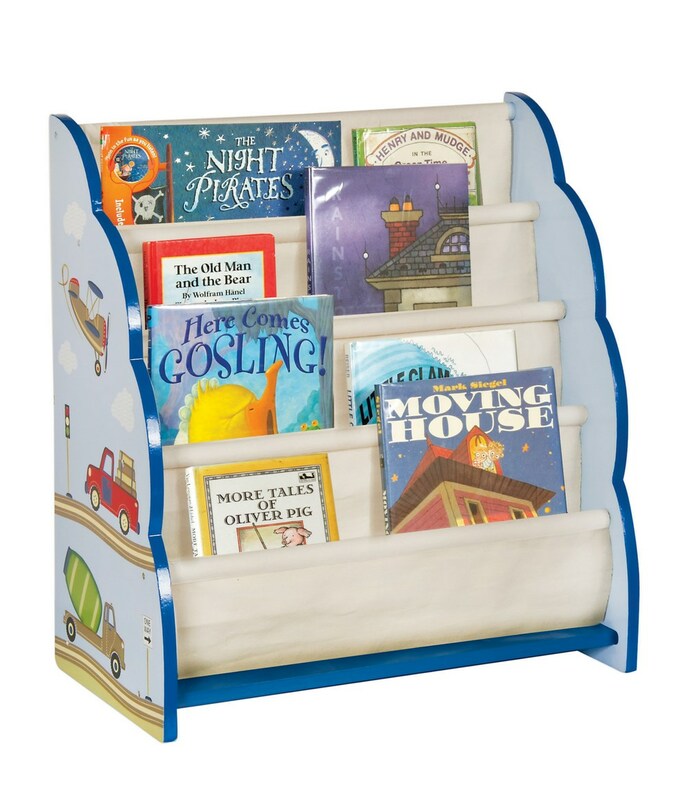 Great for storing books and magazines. 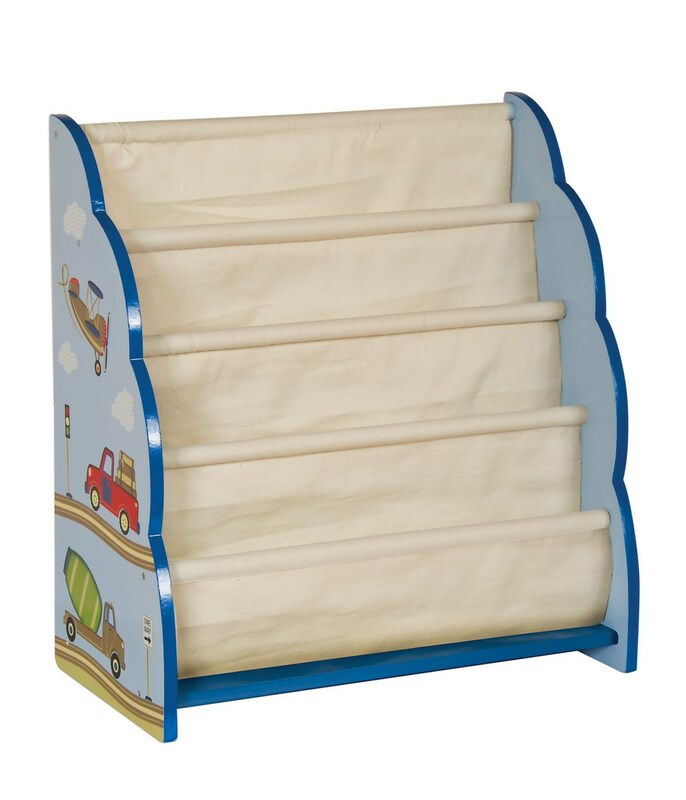 Perfect for bedrooms or playroom. Transportation Themed Kids Furniture Collection Features hand-painted and hand-carved details, hardwood legs, posts and a classic, timeless design, it gives a vintage appeal that's perfect matchback to most kid room decor and bedding collections. Trains, Planes, Trucks and Fire-Engines- getting around town has never been such fun! 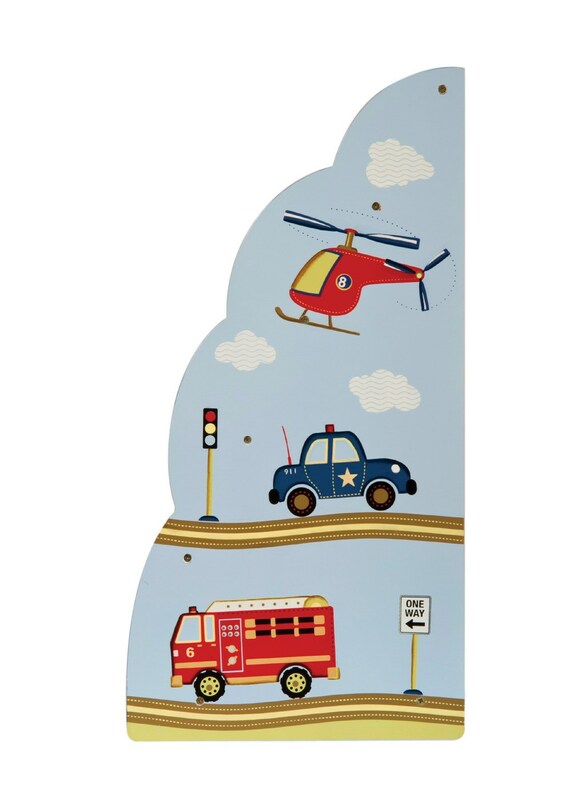 Collect all pieces of Transportation Themed Moving All Around Kids Furniture Collection to decorate a beautiful and unique themed child bedroom or play room!